The Telegraph has a list of Britain's 50 greatest islands. I'm not sure if the numbering is supposed to represent a ranking or just a simple count, either way, Islay is listed at number 13 (hopefully no superstitious people here...). 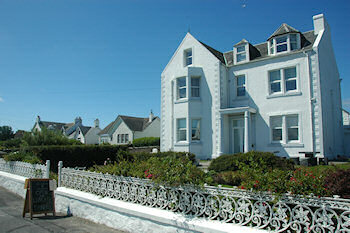 For completeness Islay's neighbours Jura (#12), Gigha (#11) and Colonsay (#14) are also listed. 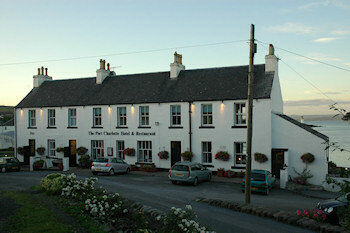 As a place to stay the Telegraph recommends the Port Charlotte Hotel, a choice I can agree with. They also recommend a visit to Kilchoman Distillery. The Times includes Islay in their list of 21 weekend breaks for September, this time Islay's neighbours don't get a mention. According to the Times ‘the irritating background hum that disappears in September isn't bored children - it's midges.’ (I guess there's a bit of poetic freedom here, I always thought midges don't make any noise?). As the place to stay they recommend an taigh-osda, where I can certainly recommend the food (haven't stayed at the rooms yet). Bruichladdich is right next door for the obligatory distillery visit. The Times also recommends Islay for stunning walking (most definitely something I can agree with) and the distilleries.